Page of "Rumor: iOS 7 Design Concepts". Jony Ive,The great Mind behind Apple Macintosh and several other Apple products like iPhone now replaced the position of Scott Forstall as Senior VP of iOS Software Dev. 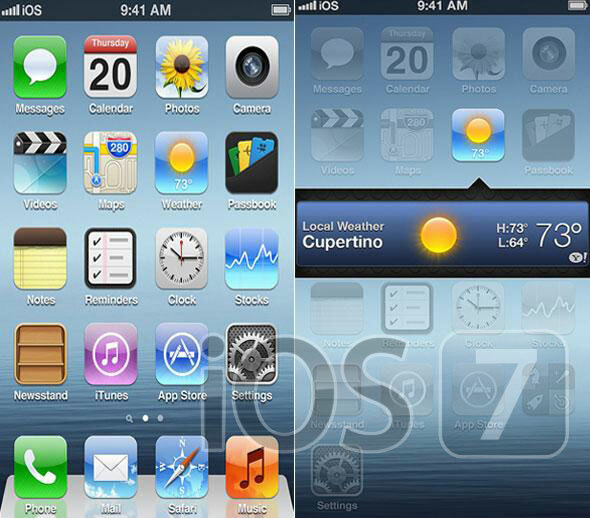 This Major changeover triggered many rumors on upcoming iOS 7 design concepts.Here is a video by some Apple dev or fan showcasing the rumored features of iOS 7. With Jony Eve on the board you never know what might happen.